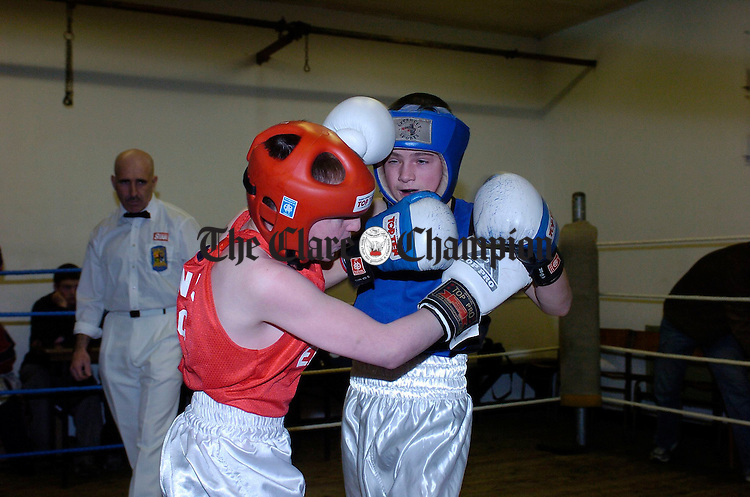 Jamie Mc Donagh of Ennis and Willie Barrett of Olympic in action during the Ennis V Olympic boxing tournament at Ennis Community centre. Photograph by John Kelly. Jamie Mc Donagh of Ennis and Willie Barrett of Olympic in action during the Ennis V Olympic boxing tournament at Ennis Community centre. Photograph by John Kelly.